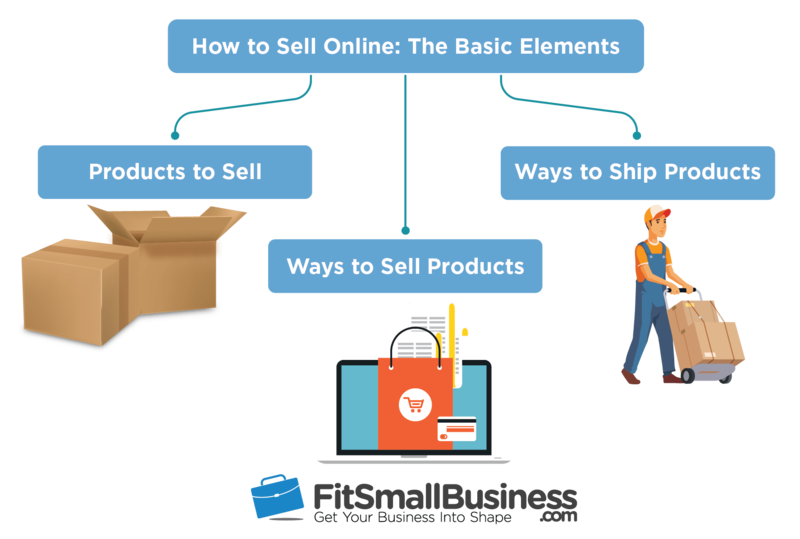 There are 3 primary things you need to sell online: products to sell, a way for online shoppers to find and buy them, and a process for storing goods and shipping orders. This guide explains how to sell online step-by-step, and explores ways to combine these elements in an efficient, profitable operation. Of course, the main tool you’ll need to sell online is a dedicated ecommerce platform. BigCommerce is a website builder and ecommerce platform that makes it easy to list products and handle secure payment processing and inventory, all in one package. It’s also beginner-friendly with an easy-to-use dashboard, store setup utilities, and clean, mobile-friendly store themes. Start a free 15-day trial. Though we outline 3 steps, you don’t have to tackle these in order. Launching an ecommerce operation is a process, and you can work on any part before having other elements finalized. For example, if you aren’t sure what you want to sell yet, you can still learn about fulfillment processes and online selling tools. In fact, understanding those things can help you find profitable products to sell from day one. It’s all connected. Keep that in mind as you read this guide. A key part of learning how to sell online is understanding your product sourcing options. Most online sellers simply buy goods from wholesalers. But many make their own goods or contract with companies to make goods to their specifications. Plus, you can also sell custom made-to-order products or goods that ship straight from supplier warehouses. Design & manufacture something yourself — If you already produce goods in your own facility, you have this element covered. You just need to consider cost-effective packaging for shipping your online orders. Have a manufacturer produce goods you design — You can work with a manufacturer to develop new items from scratch or modify something already made to suit your needs. Purchase ready-made goods for resale — Retail buyers’ markets feature a vast array of wholesale goods that you can buy and resell. Reselling ready-made goods tends to be less profitable than selling goods you make, but the upfront investment can be far less, plus you can easily rotate goods to keep your collection fresh. Purchase items to sell under your own brand — Private label manufacturers make goods but let you put your own label on them. This is the lowest-cost way to build your own brand and is especially popular for beauty, healthcare, cosmetics, and gourmet food startups. 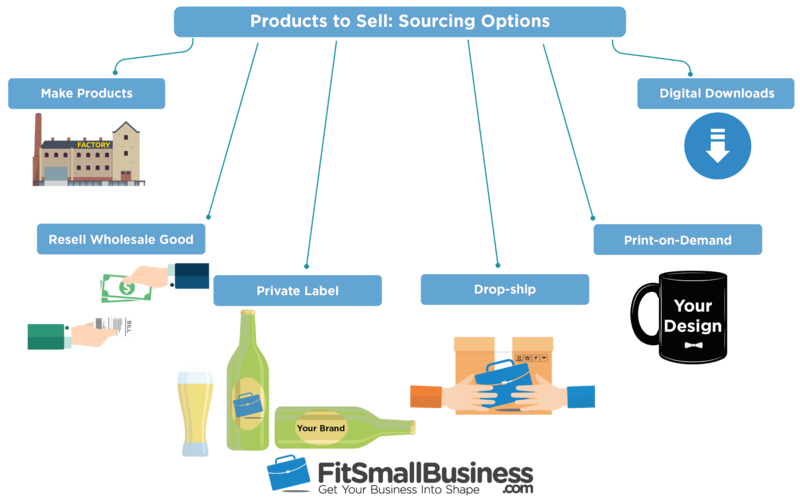 Sell items that suppliers ship directly to buyers — This is called drop shipping and is one of the lowest-cost ways to launch an online business. You don’t need to purchase or stock any goods. When you make a sale, your supplier handles the shipping for you and only then do you pay the wholesale price for the item. But, your profits are generally lower than items you stock and buy yourself. Sell print-on-demand goods — This is another version of drop shipping. Your supplier produces the item when ordered, then ships it to your buyer for you. With print-on-demand, you can sell tee shirts, mugs, jewelry, pillows, and much more, all customized with your designs. Your per-item profits are lower compared to making these items yourself, but setting up a production facility is costly, so that’s the trade-off. Sell digital products via download — Digital goods include photos and artwork, website themes, music, and instructional or entertainment podcasts, books, or video files. These digital products can be created and uploaded to an ecommerce-enabled blog or ecommerce platform, then downloaded upon purchase. Clearly, you have many options when it comes to sourcing goods to sell online. How you do this depends on your goals and startup budget. Are you looking to explore your possibilities with little investment? Try drop shipping or selling custom print-on-demand items. Do you want to market goods under your own brand? Look at private label options. Do you have cash ready to invest? Check out wholesale buyers’ markets in your area and on Alibaba and GlobalSources. Also, remember that sourcing in-demand goods is an ongoing process. Good product research helps you understand what products are in demand and helps you plan profitable buys year-round. 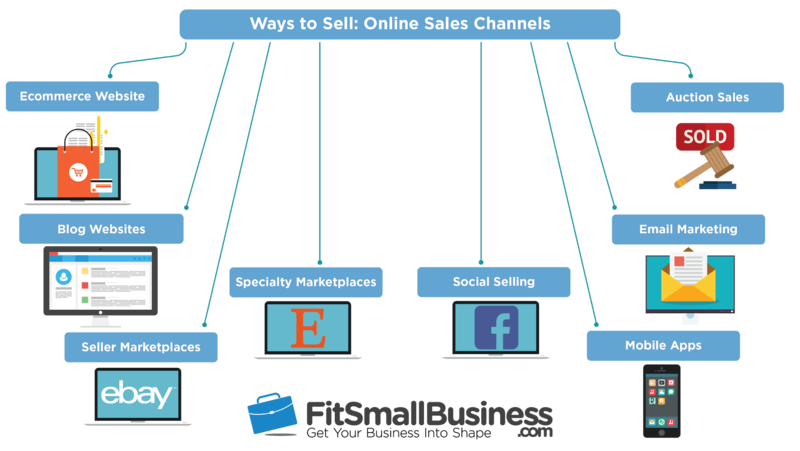 Online sales channels are how your buyers find and purchase your products. Most businesses automatically think of launching a website to sell online, but that’s just one of many options. Today’s online sellers have an array of online sales outlets to choose from. According to Watson, accurate inventory management and fast order fulfillment are what make a multichannel sales plan work. The watchword for the modern seller truly is “multichannel.” As you read through this list, think of which sales channels attract the best audience for the products you plan to sell online. A dedicated ecommerce website — Ecommerce platforms provide every tool you need to sell online. BigCommerce is a website builder and ecommerce platform that offers easy product listings, secure payment processing, order and inventory management, and customer marketing features, all in one package. Click here for a free 15-day trial. A content-driven blog website with ecommerce capabilities — A WordPress blog gives you complete control over your website presence and gives you unlimited design and content building options. You can add ecommerce features with a WordPress shopping cart plugin and many, like top-rated WooCommerce, are even free. Major seller marketplaces like Amazon, WalMart, eBay, Etsy — You can sell your products on mega marketplaces that attract tens of millions of shoppers daily. There can be hefty fees attached to selling on Amazon, Walmart, and others, but many sellers do so profitably. Specialty seller marketplaces like TeeSpring, ThredUp & more — Specialty sites let you sell an array of goods, ranging from art designs printed-on-demand to used goods. Some marketplaces are geared to specific crowds, like horse sports or backwoods hiking, you just need to find the ones that cater to your crowd. Social post selling — Every social post can become a selling opportunity via Facebook Shop, Instagram buyable posts, and Pinterest shoppable pins. Top ecommerce platforms like Shopify, BigCommerce, 3dcart and WooCommerce seamlessly connect your products to social sites to make the process easy. In-app mobile device selling — Launching a branded mobile app isn’t difficult and many small sellers use them to push both loyalty perks and purchase opportunities to customers’ mobile devices. Selling via email — Virtually every ecommerce platform has a buy button feature which lets you place a buy button in your marketing emails. Rather than hoping emails will bring shoppers to your site, you can push buyable items right into their inbox. Auction site sales — Auction sites like eBay still drive much of overall online sales and shouldn’t be overlooked. These are great places to unload slow-moving goods in bulk, plus you can target bargain shoppers in niche groups, like art, sports, or pet supply buyers. According to Watson, gone are the days of simply launching a website and hoping buyers will find it. Successful sellers explore a variety of channels and even turn marketing tools like email and social posts into sales-drivers. “Online sellers must understand that sales and marketing merge in the online world,” says Watson. “Every sale is a chance to build brand loyalty, and every marketing effort can directly convert to a sale. 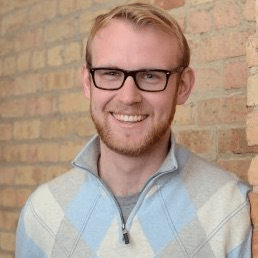 That’s why it’s important to ensure your fulfillment operation can seamlessly connect with all of your ecommerce platforms and seller marketplaces,” he says. Getting paid is an important factor in learning how to sell online, and how you do this also depends on the sales channels you choose. If you sell on your website, social platforms, or on an app, you’ll need a way to accept credit and debit card payments. While there are many ways to do this, many small sellers find that a payment processor is easiest to work with. Chase Merchant Services offers quick online transactions with no hidden fees or long-term contracts. You also get 24/7 customer support and next-business-day funding with a Chase business checking account. Click here to get started. If you sell on marketplaces like Amazon, Etsy, and Walmart, these platforms handle the payment side for you, then give you regular payouts (less their fees) a few times each month. The takeaway here is that anyone learning how to sell online needs to understand it’s not about launching a website and figuring out ways to lure shoppers in. Modern ecommerce is about putting your products, and being able to accept payments, anywhere shoppers are from day one. That includes major marketplaces, social sites, email inboxes, and your own website. When selling online, storing products, processing orders, and packing and shipping goods all falls under the term order fulfillment. When considering how to sell online, this functional area deserves serious attention. Fulfillment is a primary expense in online sales and can even outstrip your actual product costs. But it’s important not to cut too many corners to lower costs. Packing mistakes, slow deliveries, and stock shortages due to a mismanaged warehouse all are fulfillment mistakes that can tank your fledgling business. In-house fulfillment — Storing goods and shipping products yourself can be time-consuming. But for startups and small sellers, it can be the most cost-effective solution, plus provide a thorough understanding of the process so you can spot issues and areas for improvement as you grow. 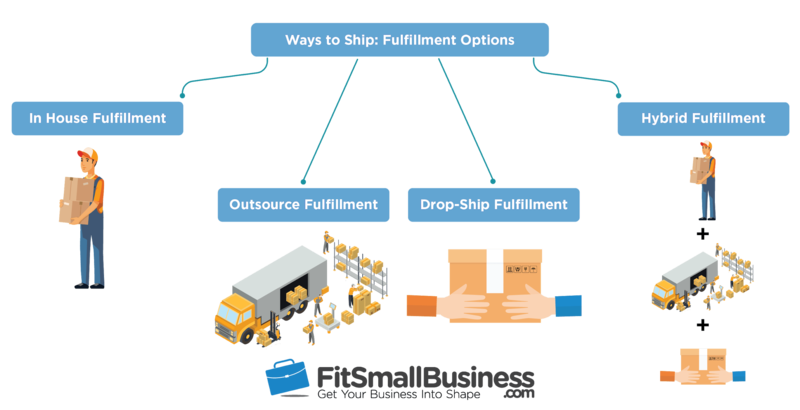 Outsource fulfillment — Fulfillment companies are what many successful online sellers use to handle order fulfillment tasks. This leaves them free to focus on business-building activities like sales channel expansion and product sourcing. This option can be less costly compared to managing a staffed warehouse, plus it can quickly and cost-effectively scale up or down to meet increases or drops in sales. Drop-ship fulfillment — This option lets you sell products without buying any stock up front. Drop-ship suppliers inventory goods and handle all fulfillment needs for you. Only when you make a sale does your supplier charge you for the goods sold. This selling and fulfillment method carries lower profit margins, but the trade-off is practically no upfront or ongoing investment. Use a hybrid fulfillment solution — Mixing the 3 fulfillment methods listed above can be the most cost-effective solution for a busy online business. Managing fulfillment this way lets you store and ship products at optimal costs, bet that in-house or outsourced, and use dropshipping to expand your product line without further investment. Handling your fulfillment operation in the most cost-effective way possible is critical to your success. But it’s equally important not to let fulfillment tasks absorb so much time and attention that you can’t focus on building your business. Outsourcing time-consuming daily fulfillment tasks like order picking, packing, and shipping frees owners to focus on things that will take their business to the next level, according to Watson. In learning how to sell online, it’s critical that you take the time to understand how each of these fulfillment methods work and the costs and time involved. And, Watson reminds sellers, the solution you start out with doesn’t dictate how you’ll handle these tasks as you grow. Fulfillment, he says, is an ever-changing aspect of any growing online business. Learning how to sell online isn’t a step-by-step process. Of course, having a product to sell is a key element. But understanding the other 2 major factors: where you’ll sell products online and how you’ll get products to your customers, helps you make smart purchasing decisions from day one. Too often, being overly product-focused in the beginning leads to losses. It’s important not to invest in goods before knowing where you’ll find buyers for them, or how you’ll store and ship them. To avoid this profit-killing trap, take the time to research all the ways you can sell online and the costs of shipping goods to buyers. With that knowledge, you’re in a better position to research and source goods that can turn a profit. Or, you might decide that lower-risk methods, like dropshipping, are better for your startup. While there are many ways to sell products online, having your own website will give you more control of your inventory, selling tools, and advertising. BigCommerce is an ecommerce website builder that makes it easy to sell on your website, and on Amazon, eBay, Facebook, Pinterest, Instagram, and more—all from one user-friendly dashboard. Try it free for 15 days. I have to appreciate the writing style, yes its really easy to understand for a newbie like me, keep doing this quality work, looking forward to learning more, keep sharing. Thank you! We try to boil everything down into understandable language. Good luck with your business! l am in learning stages of online selling.